Powers Fasteners Trak-It Fuel cells are color coded. Blue fuel cells work with C3 Trak-It tools. Each cell is expected to last through approximately 1000 pins. 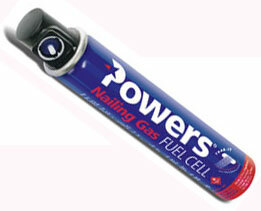 Fuel cells work in temperatures down to 10° F.